Our Instrument Panels have been engineered by our research and development teams to meet our customers’ needs of consumer perceived quality. SMRC’s Instrument Panel is a finished integrated assembly that provides additional value to the customer by offering flexible and cost-efficient solutions, such as variable air speed ventilation and electronic glove box actuation. 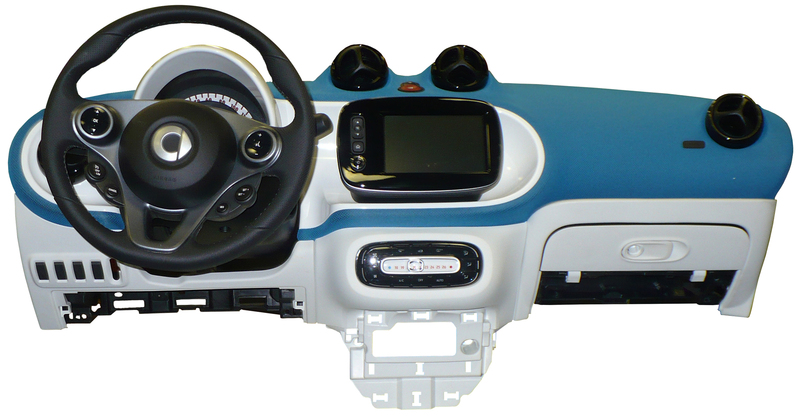 SMRC’s Instrument Panel can incorporate a variety of technologies (materials and processes) to create cost-efficient product differentiation. As an example, SMRC is able to develop a basic instrument panel infrastructure (structure, ducting, electronics, etc.) and deliver differentiation across platforms by applying one substrate for a lower-end segment and another for higher-end segments; or by applying different grain/texture Visteon can create a specific look/feel to bring about differentiation. 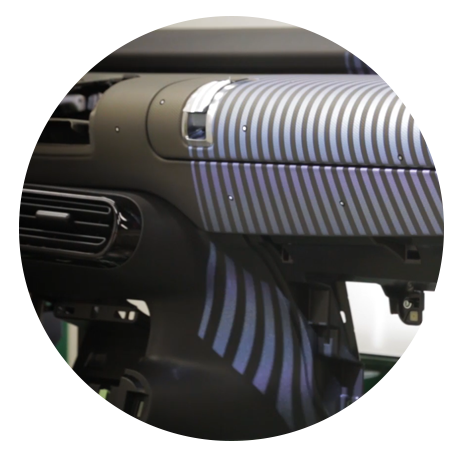 Allows customer choice of solutions to enhance vehicle brand identity because the substrate may be constructed from a variety of materials such as: hard, soft, and selective soft zone panels. Optimizes cost, weight and part complexity because the structure may be manufactured from a variety of materials (e.g., steel, magnesium, hybrid-plastic/metal). Improves balance of color by matching instrument panel to other components through a combination of materials that deliver a variety of solutions. Enables the implementation of complex geometries by employing a variety of manufacturing processes to meet customer requirements. Don’t hesitate to contact our teams for further information. Essential Trackers are necessary for the correct execution of this website. Without them, you wouldn't be able to use it. These cookies keep track of your preferences concerning trackers. If those cookies were disabled, we would have to ask if you allow for cookies every time you load a page. These cookies are used by wordpress to keep track of your preferred language, as well as keep you connected after you log in. If those cookies were disabled, you wouldn't be able to stay logged in on this website. Analytics is the process of collecting and analysing data about the users of the website in order to know how the user interact with it and enhance it to make it easier. Google Analytics keeps track of all users on this website and allow us to get advanced statistics such as the distribution of users across countries or the time of day the site is most used. Disabling those cookies lets you use this site normally, but hurts our ability to make it better.